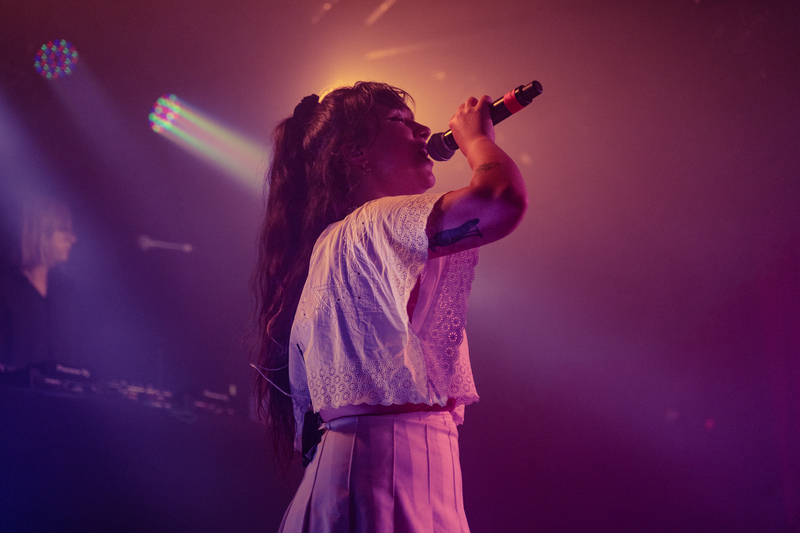 Mallrat brought the party atmosphere to the Corner Hotel over the weekend with a run of four sold out shows in Melbourne, catering to both under-age fans and those over eighteen. 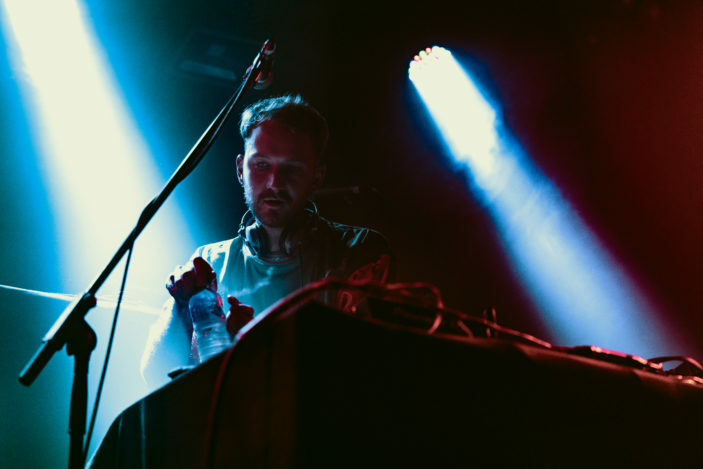 The massive pop draw card brought with them a long list of talent on an expanded list of artists that displayed all the right moves in Australia’s dance and electronic scenes. The evening was opened by Melbourne hip-hop artist, NYNE. Given the stacked list of performers she was only allocated a short performance time, but her twenty odd minutes up on stage gave the crowd a decent glimpse of her potential. Kota Banks stuck out in between Basenji and NYNE, a mix of both but with an incredible air of flair of her own too. Kota strutted the stage with thorough impact during her set. With “I’m It”, “Child” and “Zoom” playing a significant part of her set, it seemed there were as many fans who’d arrived for Kota’s dance tracks as those there for Mallrat. Basenji was another large draw card on the line-up and was a great introduction to Mallrat’s sound for the un-initiated. His heavy hitting production work turned the Corner Hotel into a pseudo nightclub with the dancing crowd writhing to the beats of his tracks. As usual, Mallrat came along with a pumped up set list that turned the crowd into a screaming mob the second she arrived on stage. Mallrat’s ability to look at everyday life and find a little magic amongst the mundane only helped to draw in the crowd. This was coupled with her ability to tame them, thanks to some of the more inviting emotional spots of the evening. With an opening salvo from Mallrat’s resident DJ, Demin and a spray of the strobe lights the party was quickly in full swing leading into Mallrat’s opening track, “Tokyo Drift”. “Better”, the already famous single became an instant onstage hit for the evening, thanks in part to the additional presence of Tyne James Organ. The multi-faceted musician added another dimension to the summery tune, with his honeyed, melancholic vocals making a significant impact. “UFO” was bolstered by the appearance of another guest through Mallrat’s set, Allday. The high profile Australian rapper has always been seen around at Mallrat’s shows (or vice versa) and the inclusion of his live vocals to the somewhat lonely track gave the crowd exactly what they were hoping for, with the vocal bridge never the same without a little touch of live vocals. “Groceries” helped round out some of Mallrat’s biggest releases, as the magic of the song, finding something special out of the ordinary act of buying groceries really impacted the crowd as a live rendition, with the quietly shimmering vocals of Mallrat cut over the swimming sounds of the strummed guitar. 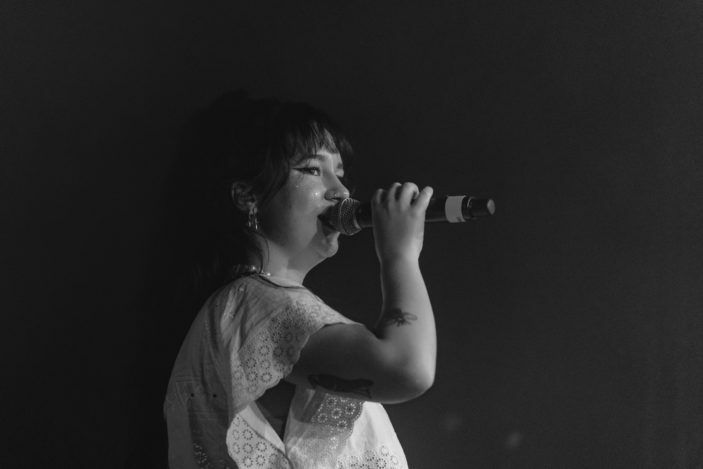 Mallrat closed the show on “Uninvited”, sending swirls of bubbling energy out into the crowd a final time, the track has always been a favourite of her fans, with the track’s somewhat ironic lyrics, really setting off the crowd one last time. Mallrat’s ‘Nobody’s Home’ tour continues up in Sydney this weekend before heading onto the close in Canberra.